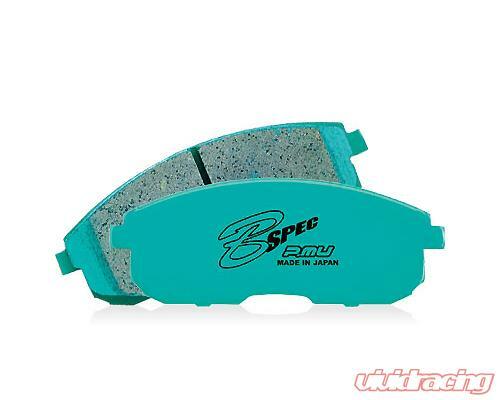 The Project Mu B-Spec Brake Pad are designed to improve the overall braking power of any performance street vehicle. B-Spec Pads has been developed for street and light track use where initial stopping power and resistance to fade is of prime importance. B-Spec has excellent wear and dust characteristics and are kind to the rotor even in track day environments. This affordable model boasts dependable braking and improved anti-fading performance to cope with all sport-driving scenarios.